This whimsical art glass sculpture, will always keep you smiling! It brings back the fun and happy memories of childhood, and keeps an adult youthful, playful and creative! 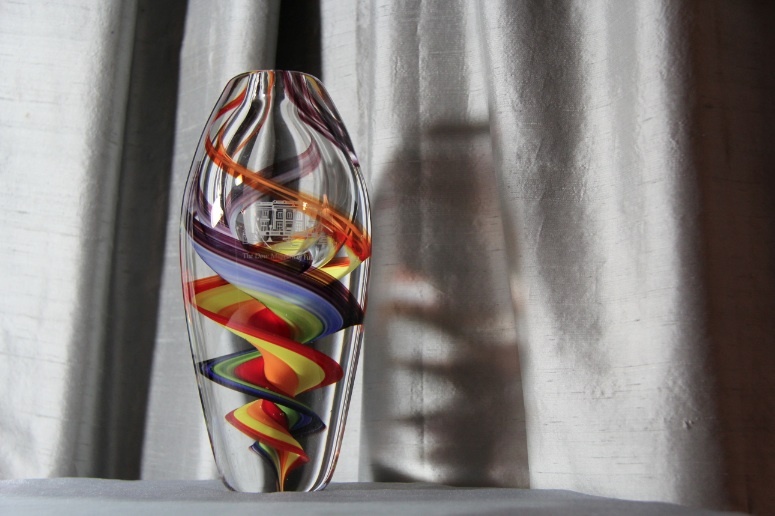 Beautiful rainbow colors swirl in the center, of this magnificent oval shaped clear glass! The energizing design, adds a cheerful charm to any room! This makes a delightful gift for any eternal optimist! It’s a tall modern piece, standing approximately 8 3/4″ x 4″ x 4″ (no two are exactly alike). It’s more of a sculpture than a vase, but there is a small opening at the top, of this decorative piece. 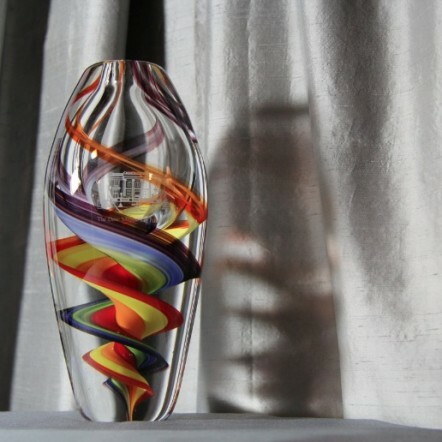 colors: vibrant multi-colored swirl, inside clear glass.